We present an evening of authentic flamenco music in a concert to warm the winter blues away! 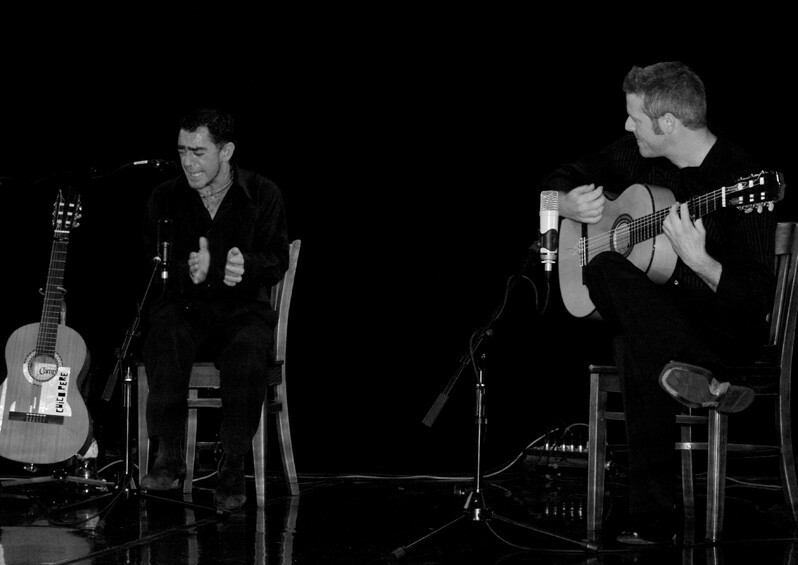 Calaita is the work of singer Chico Pere and flamenco guitarist Glenn Sharp. Formed in 2008 as a music and dance group, Calaita immediately developed a large fan-base, with all of their first shows completely sold out. Calaita are a 6 piece music group with dancer (Gloria Lopez Castejon), playing authentic, traditional flamenco and contemporary flamenco rumbas. They invite audiences to join them for an introduction to flamenco and its rhythmic secrets in a pre-concert talk. Please book ASAP if you wish to attend, as we can't guarantee there will be tickets on the door.